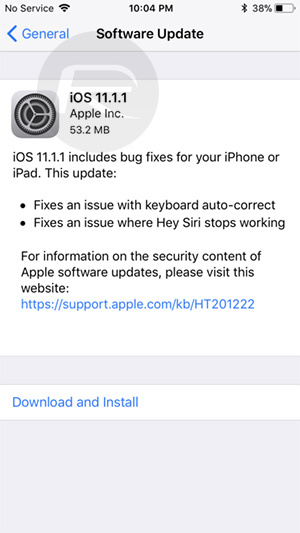 You can now download iOS 11.1.1 IPSW links and over-the-air (OTA) update featuring various bug fixes for iPhone and iPad users. 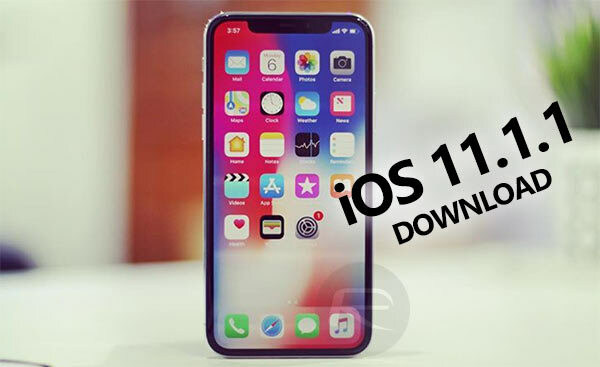 Apple has officially released iOS 11.1.1 as an interim bug fixing release whilst iOS 11.2 goes through the pre-release process with registered developers and public testers. As always, we have the details on the release as well as how to go about getting it installed onto a compatible device. Device owners around the globe who have been experiencing the slightly amusing, but also confusing and infuriating, autocorrection issue with the letter “i” will be absolutely delighted to see that saga come to an end with the release of iOS 11.1.1. Rather than waiting until iOS 11.2 was in a position to release to the public, the powers that be at Apple have instructed the company’s iOS engineers to resolve the issue at a point updated level and get that out into the public domain as a soon as possible. The release of iOS 11.1.1 is that resolution, meaning that we should see no more miscellaneous exclamation marks and random boxes dotting around social media when sent from an iOS device. The release is also wonderful news for anyone who thought that Apple may rest on its laurels where iOS 11 is concerned. It could have been extremely easy for Apple to get iOS 11.1 and iPhone X out into the public domain and then sit back and take things a little easier. However, with Apple first releasing an iPhone X-exclusive iOS 11.2 beta 2 to developers, followed by an iOS 11.2 beta 2 for other devices, this release of iOS 11.1.1 for the wider community makes it clear that the company’s attention is still laser-focused on improving the platform and getting it absolutely perfect for all device owners. There may have been questions raised about Apple’s attention to detail and its internal QA teams over recent months, but there can be no questioning the dedication to actually releasing, and releasing often. Apple’s iOS 11.1.1 update can be downloaded right now on all compatible iPhone, iPad, and iPod touch devices, including the wonderful new iPhone X, by launching the native Settings app and navigating to General > Software Update. Update x1: Official details on iOS 11.1.1 changes can be found at: iOS 11.1.1 Changelog, Release Notes, Security Content Released.